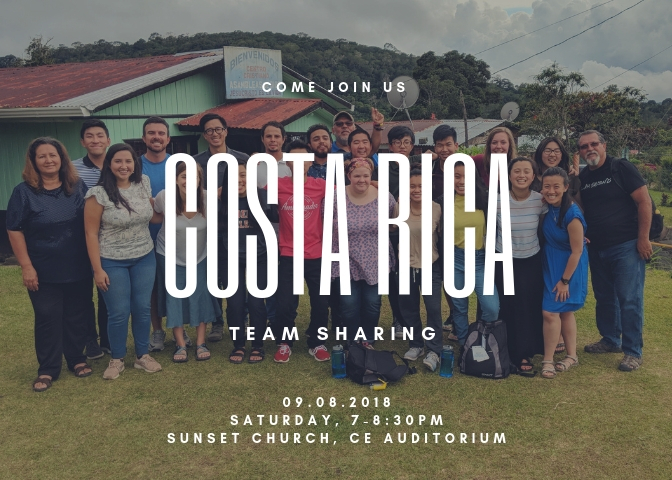 Thank you for supporting our youth in their trip to Costa Rica. Join them on September 8 (Sat), 7-9pm, at the CE Auditorium as they share about their learnings and experiences from the trip. Light snacks and refreshments will be served.